Project co-funded by the Erasmus+ program of the European Union. 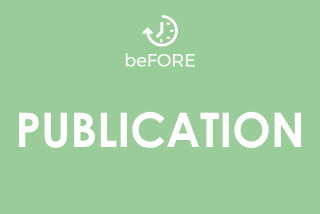 beFORE is a Knowledge Alliance Project (575842-EPP- 1-2016- 1-PL- EPPKA2-KA). This project has been funded with support from the European Commission. This website reflects the views only of the author, and the Commission cannot be held responsible for any use which may be made of the information contained therein.